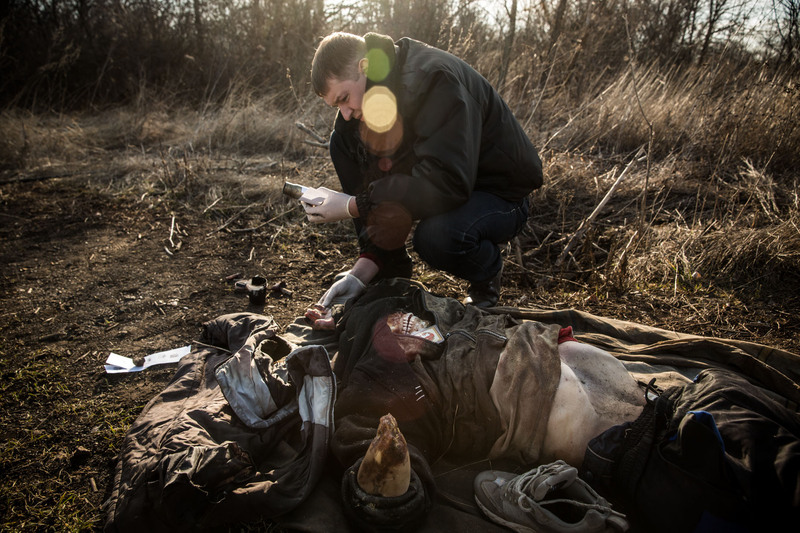 Police officers take the finger prints of a corpse found in a field on March 11, 2015 outside the village of Chornukyne, Ukraine. Pro-Russian rebels said they believe the man was killed approximately one month ago, when a nearby prison was vacated, leaving prisoners to flee, however many were allegedly killed by Ukrainian forces. Chornukyne, a small village east of Debaltseve, was badly damaged by fighting between the Ukrainian army and pro-Russian rebels last month as rebels took control of Debaltseve.